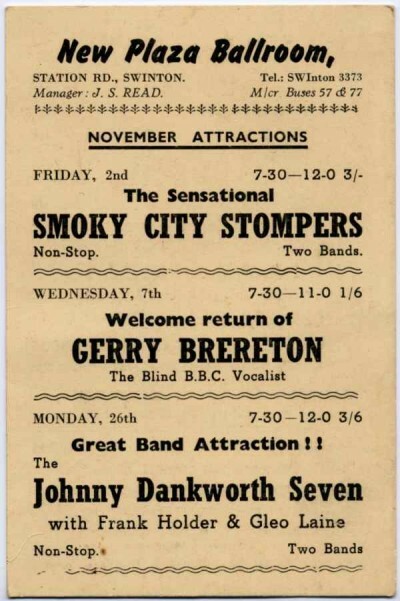 Flyer for Smoky City Stompers, featuring trombonist Alan Hare, father of Les Hare, owner of Kingbee Records. Check out the ace website dedicated to Alan Hare. Our archive currently contains 3563 Bands, 674 DJs, 1294 Venues, 149 Industry Professionals and 18626 artefacts contributed by 3395 members.